We’ll have bots and drones for the delivery of our pizzas soon! 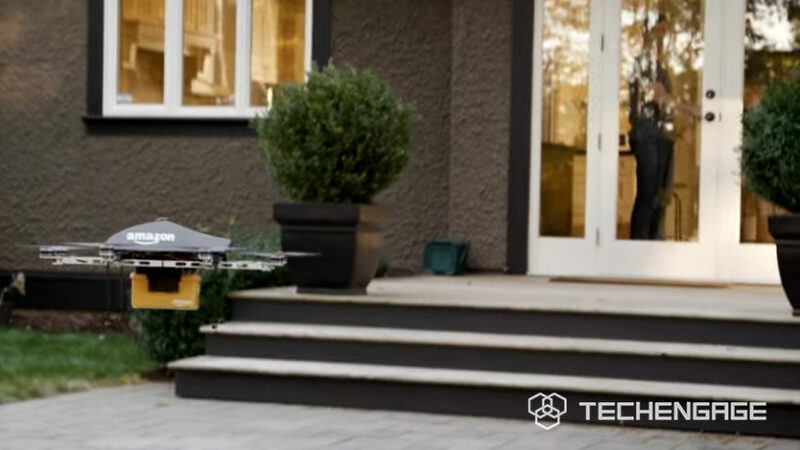 How else do you expect deliveries to happen in the age of drones? We see our deliveries happening by people who bring our parcels on foot or on bikes. They may seem slow and inefficient but this is how things are since this universe saw its first dawn. However, our instincts about the future are different. Many countries and companies have cued this news that they’ll be shifting to deliveries via robots and drones to make the process efficient and less time-consuming. That is exciting, isn’t it? You seeing a bot carrying a pizza box to your neighbors. You can try and stop them to say hello maybe! And while you are on it, you hear the whizzing of a drone carrying a post for your other next door. The world will be amusing, no? With all these tech beings walking among us and flying over the top of our heads. Although it is currently on paper and is not a running project, Canada Post did propose a few months back that it might shift to the use of drones for delivering packages. This news was, however, a reaction to the threat posed by Amazon. 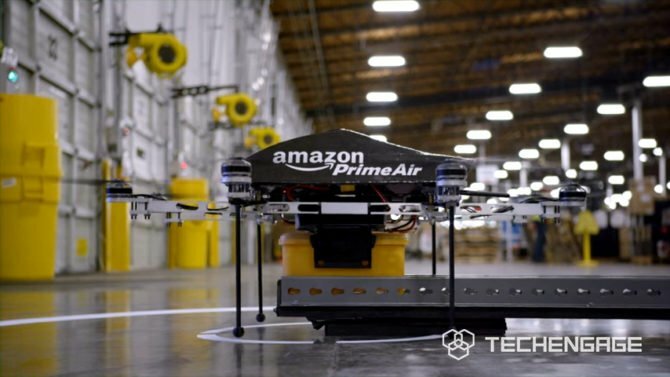 Amazon has introduced a Prime Air service and the company says that they too will be opting to use drones for the parcels that weigh 5 pounds. The company says this delivery will be done within 30 minutes and such an innovation is, of course, going to be super-efficient. Amazon revealed the first Air Plane that it plans to use in August. The Airplane is bigger than we expected and is called Boeing 767. This will be used to deliver the parcels from one corner of US to the other. The further delivery, as said, will be done by the drones to customer’s allocated address. This isn’t a surprise because Amazon is already working on running a couple of experimental labs called the drone development centers. These are running is US, UK, and Israel. The UK had its first trial in July after the approval of the state government. Things may not be as simple as this in the US because drones are currently illegal in the country. We can expect this obstacle to be overwritten once the developmental phases are complete. US government may grant drones a permission to operate between 200 to 500fts as the cut-off for airplanes is 500ft. 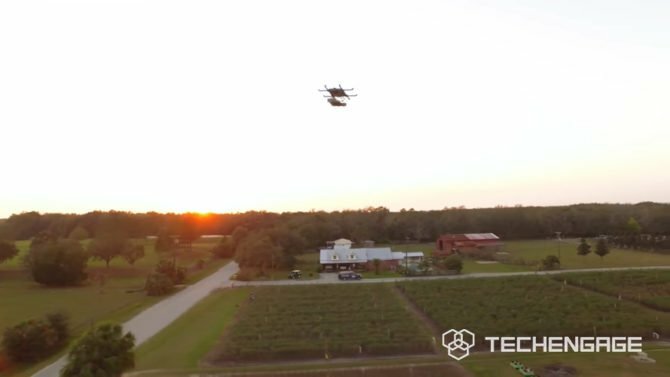 Companies aren’t restricted till the drones that fly but they are also testing the robots that can walk on the roads and deliver our parcels. “Just Eat” is a takeaway service and it announced in March that it would be using robot delivery in London this year. 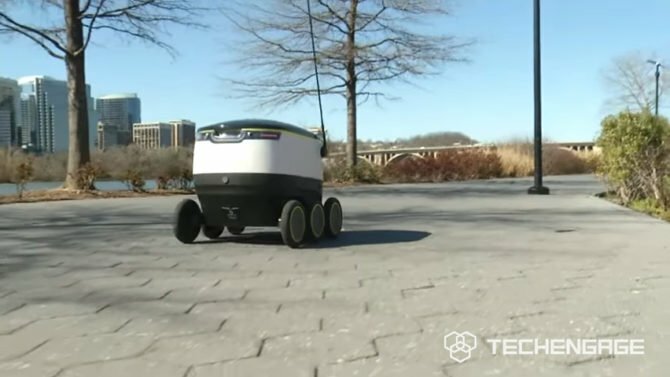 The company is testing Starship technologies’ delivery robots at the moment. The robots that they plan to use are six-wheeled with GPS installed and will, of course, be remotely monitored by humans. The mere chance that these robots can be kidnapped or lost is catered by them being under observation by humans in the initial stages. These robots don’t have any superpower other than the fact that they can roll through snow up to 20 cm deep. We wonder how the company is going to avoid the food getting nicked from them. Starship states that these robots will be PIN-protected. They also said that during thousands of hours of testing no such incident showed up so such things are unlikely to happen. “The vast majority of people just ignore it.” CEO Ahti Heinla spoke to BBC. 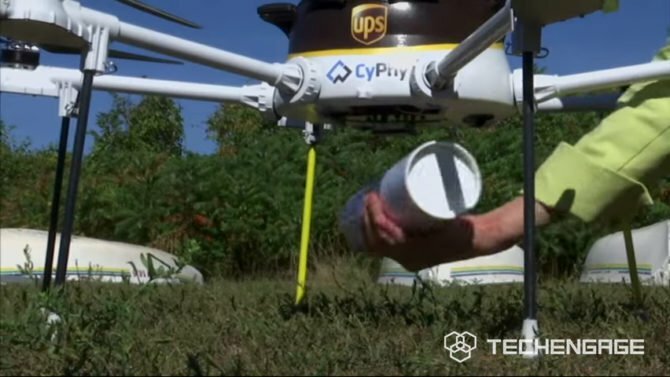 Speaking to the Senate recently, Australian postal service’ CEO, Christine Holgate revealed that her team is discussing the concept of blood delivery to the accident spots using drones. She said that Swiss post is already doing this and being counterparts with them, Australia will get an edge as well if they pursue this innovation. The CEO is confident that this change will lead to a better future for the Australian post. 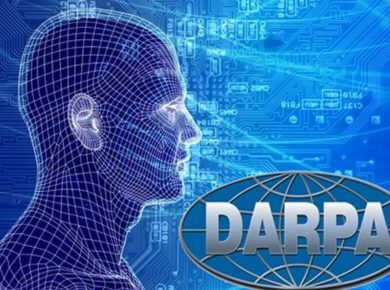 The automation will increase the efficiency of operating during accidents and emergency. 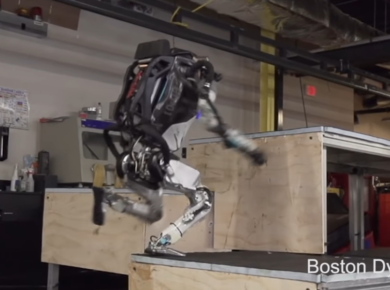 We praise the idea of robotic postmen walking down our streets and dropping us our parcels. We are equally fascinated by the thought that one day we see our parcels being released to our rooftops by the drones but, at the same time, we need to look at the opportunity cost of it. It may not be impacting the employment to a greater extent because the workers associated with the postal services are usually underpaid. They don’t get more than 60p for delivering one parcel and we see workers movements happening across the UK to raise their wages. However, we should know that the robots and drones come at a huge cost. Although it’s a onetime investment but is postal companies, other than the air giant Amazon, prepared to bear the cost? If yes, we may see the robots lingering on our roads anytime soon!